Summer Veggie Guide for Families - Energetic Juniors - Contact Us! Plump tomatoes, crisp cucumbers, and juicy peaches are the signs of summer that we crave all year long. And when the produce is this undeniably flavorful it’s really time to let those summer veggies shine! From the store to the grill, learn how to best utilize this season’s produce at your family’s next cookout. 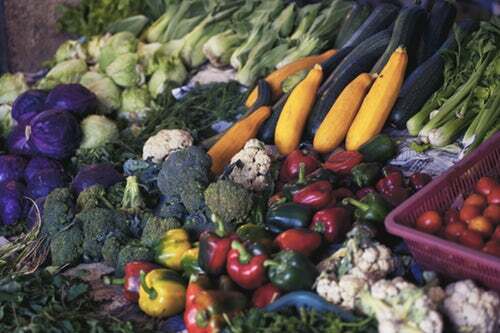 When possible, try and go to a nearby farm stand or market. Not only does it help support your local farmers and community, but the produce is usually higher in nutrients and tastes better since it is picked at its peak. Try making the trip to the market a family outing, as it allows children to talk with real farmers, and learn about where their food comes from! The vegetables this time of year are bursting with flavor and freshness! When it comes to prepping your produce, you only need a light hand with the oil, as too much can make veggies soggy and muddle that fresh taste you’re craving. Unlike their meat counterparts, veggies don’t have strict cooking time, so it is the perfect opportunity to let the kids help with the cooking: simply throw them on the grill, sit back, and enjoy them at your leisure! Below are some recipes that the whole family will love! Carefully cut bell peppers in 2 cm pieces, zucchini into ½ moon slices, and slice tomatoes in half. Peel and cut the onion into wedges. Add them all to a large mixing bowl. Grate lemon zest to taste and add to bowl, along with olive oil. Toss to combine. Thread the tomatoes, peppers, zucchini and onion onto skewers in a “rainbow”. Shuck and clean he corn. Place the corn directly over a very hot fire, and grill, turning occasionally until it’s charred and cooked through, about 10 minutes total. Set aside and allow to cool. Add chopped cilantro, minced red onion, and black beans to bowl.